Build any kind of button imaginable right from your WordPress Dashboard with Buttons X! 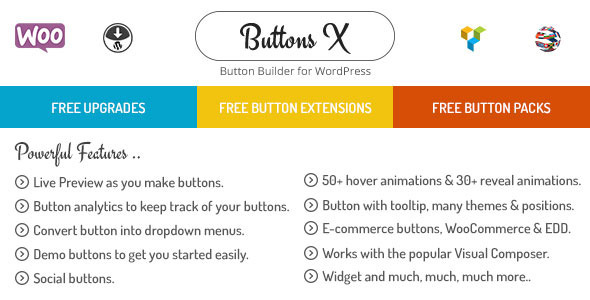 Buttons X is a WordPress button builder plugin which comes with free extensions and free button packs. It is packed with functionality that allows countless button variations to be made easily without any coding.